Prespan precast concrete flooring system from Northeast Precast delivers dependability for harsh seashore environments. I’ve specified Prespan many times on projects located on the barrier islands from Avalon down to Cape May. This is a dependable product that fits in ideally with the conditions that our New Jersey coastline faces. Let the winds blow and the seas roar. 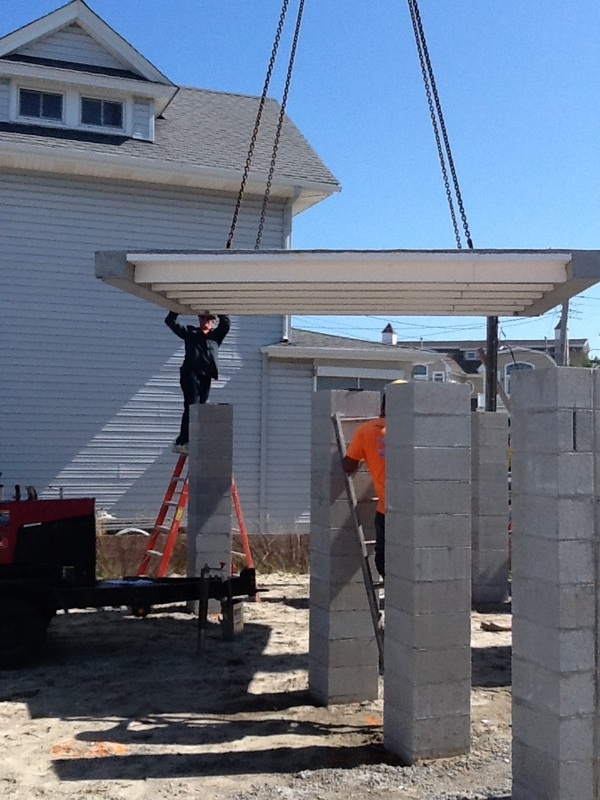 Thanks to smart construction decisions, the DiSandro family in Wildwood, New Jersey, is ready for Mother Nature to welcome another hurricane season. Located on the back bay of Wildwood Crest, about a half-mile from the Atlantic Ocean, the DiSandro home was built using 2x6 construction, impact-resistant windows and a precast concrete flooring solution called Prespan. Prespan is an exclusive, patented flooring system created by Northeast Precast. The Millville, NJ based company is a precast concrete manufacturer that offers commercial products and residential foundation wall systems. They are also a producer member of PCI Mid-Atlantic, a chapter of the Precast/Prestressed Concrete Institute (PCI). Prespan’s precast concrete floor planks provided the DiSandro family with open spaces for their home – with no columns or load bearing walls. Blane Steinman, RA with Blane Steinman Architects in Clermont, NJ explains why Prespan is a popular choice for his project designs. “There are several reasons why I like specifying Prespan concrete floor planking in our designs. 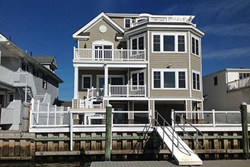 Like the DiSando residence, we typically design houses in the harsh seashore environment. Our projects are often subject to flood conditions, hurricane force winds, salt air spray and sandy soil conditions,” shares Steinman. “Concrete plank flooring is a flood-compatible material. It’s strong, fire- and insect-resistant, and built to last. This flooring provides a solid feel that our clients appreciate. It’s also environmentally friendly and energy efficient,” adds Steinman. Steinman points out that the DiSandro home is located in a “V” (or “Velocity Wave Action”) zone designated by FEMA. The Prespan floor system is flood-compatible and capable of withstanding harsh seashore environments. From the homeowner’s perspective, Prespan was able to do more than protect their home. It also supported their overall construction needs. “Our original decision to use the Prespan flooring was based on saving height for building height limitations,” explains homeowner Ernie DiSandro. During the 7 years since the home was built, the DiSandro’s have gained peace of mind from the construction elements in their home. “Our house was built during the time immediately after Hurricane Sandy, when building regulations were a little more conservative. As a result, we’re a few feet higher than the current base flood regulations,” shares DiSandro. The Prespan system installs well with all concrete wall types. There are no manufacturing job size limitations. 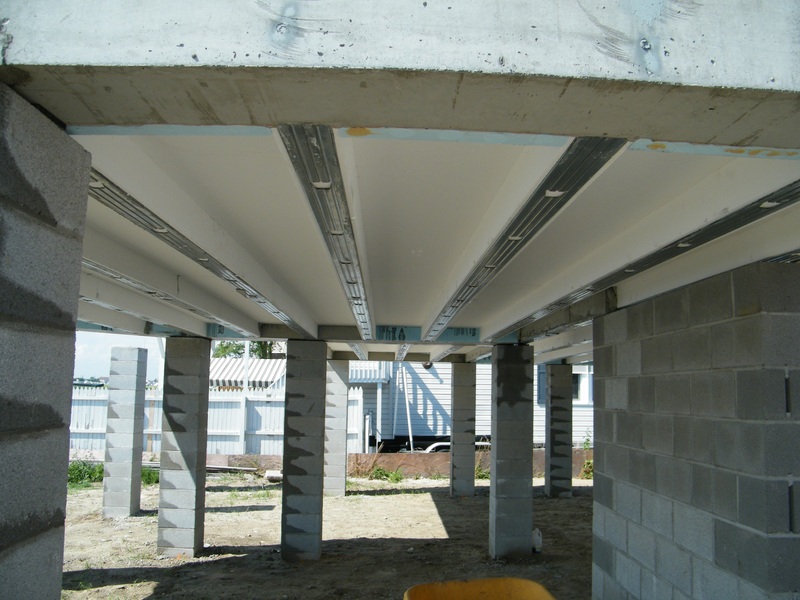 The product allows for builders to gain a clear span of an entire building to create a full basement or crawl space walls under a garage. The rigid product features less deflection and is 25% lighter compared to hollow core planks. 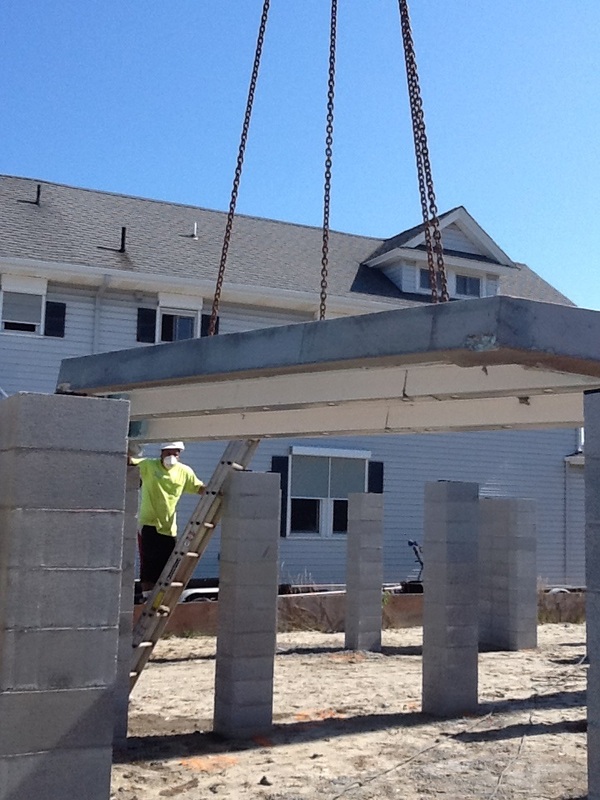 To learn more about Prespan, visit the Northeast Precast website. PCI Mid-Atlantic, a chapter of the Precast/Prestressed Concrete Institute (PCI), is a professional marketing organization committed to the growth and greater profitability of the Precast Industry in the Mid-Atlantic region. It is comprised of prestressed/precast producer member firms located throughout the Mid-Atlantic States, including New York, New Jersey, Pennsylvania, Delaware, Maryland and Virginia. PCI Mid-Atlantic also has over 50 associate member companies that produce a variety of concrete industry related products. For more information, visit http://www.pci-ma.org.